A seismic shift has occurred. The total time spent on the Internet using mobile devices now outpaces time spent on desktops. Today, the average US adult user spends 3 hours and 35 minutes on their mobile device each day. Is your business in the right position? Can you be found on the right device at the right time when prospects search for your products and services? Ranking high on PCs and laptops does not guarantee high rankings on smartphone searches. A mobile-specific strategy is required to compel the mobile decision maker. 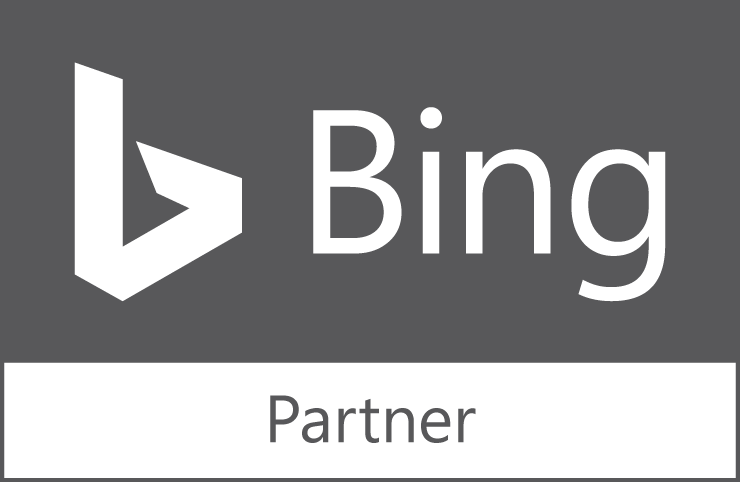 Want to boost your search engine rankings? periscopeUP knows how. Give us a call at (443) 475-0787 or contact us here. Over a 2-year timeframe, periscopeUP helped a nationwide financial services firm attract more organic mobile visitors and secure more conversions. The target audience for this firm – a middle-aged user – spends several hours on his or her mobile device every day and is likely to access the Internet more frequently from mobile devices than from desktop computers. It was imperative the client be found on the right device at the right time when their prospective customers were searching for their services. periscopeUP launched a responsive website, and performed additional optimization for mobile visitors by reducing page load speed, adjusting page and submission form layout for usability, editing metadata to fully display on mobile, ensuring all relevant files could be crawled by Smartphone Googlebot. The site began to steadily improve in mobile ranking for key search terms, garner more impressions and attract more mobile visitors. In just over two years, mobile sessions from the organic channel increased by ~459% and mobile organic conversions (form submissions) increased by ~239%. 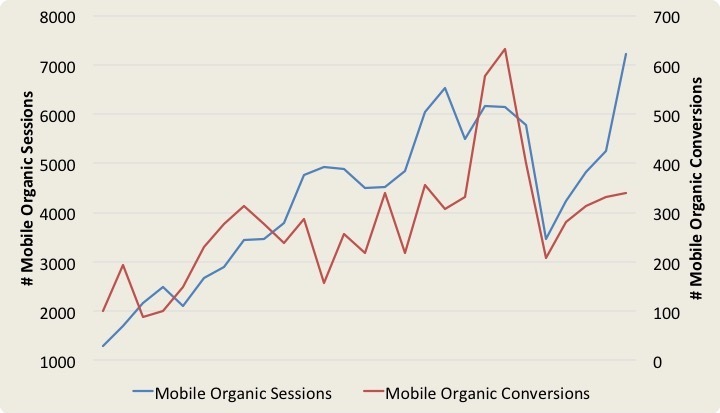 The positive results shown in the graph on the right illustrate how mobile SEO can translate to gains in organic sessions and conversions from mobile visitors. A well-optimized and responsive website will provide a superior user experience to visitors, regardless of channel. Read more about periscopeUP’s efforts on this project here. When you embark on a mobile SEO strategy, your website must have the right responsive design. No matter what device is being used, your site looks great. You must also implement a content strategy that has smartphone users specifically in mind since one shoe doesn’t fit all. Plus, you capture mobile specific data and follow the conversion path. Finally, you continuously solidify revenue streams while scanning for new opportunities. Mobile users are typically further along in the purchase cycle. You don’t want to lose them. You want to impress them. periscopeUP’s mobile experts help you rank high and look good while users are on the go. Users spend more time on mobile devices than on desktops. 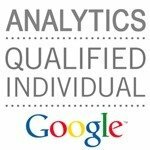 Need Help With Mobile SEO?